All rooms have bunk beds. Rates are from €20 – €28 per person. For rates specific to your family, group, or individual needs please contact Anne on capeclearhostel@gmail.com or submit a booking enquiry form! Please check into hostel immediately on arrival off the ferry. Contact us and we’ll be happy to discuss the best arrangements for your group. During your stay at the Cape Clear Hostel, you’ll have access to the full range of hostel facilities which include our well-equipped kitchen, lounge area, and the public room which can be used as a dining room, conference space, or games room. (See our full range of hostel facilities here). Please note that there are no Wi-Fi or computer facilities at the hostel – this will be a technology-free and stress-free holiday! All bookings are subject to our terms and conditions. 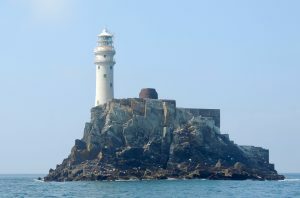 We want to ensure that everyone goes home from Cape Clear with the very best of memories. 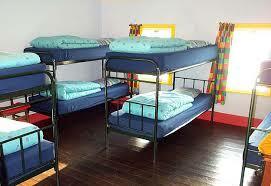 We are delighted to provide hostel accommodation for school and youth groups. Please contact us for details, and we’ll be happy to help plan your stay. Our prices vary depending on the season, and any special offers we are running for events. During the peak holiday season (July – August), and at weekends, we have a minimum 2-night booking policy. * Family of four = 2 adults and 2 children. ** Dorm rooms are available for groups of four or more people only, and all beds are bunk beds.